The Frankowski Firm is investigating potential claims against FINRA-expelled broker Mark Kaplan, of Woodbury, New York, following Mr. Kaplan’s expulsion from the securities industry based on his excessive trading (“churning”) in the account of an elderly investor suffering from dementia. According to FINRA’s Acceptance, Waiver, and Consent findings against Kaplan, Kaplan effected more than 3,500 transactions during a five-year period in the account of a 93-year-old investor who was retired, living solely off his social security income, and suffering from dementia. The shocking level of trading activity resulted in approximately $723,000 in trading losses for the client while generating roughly $735,000 in commissions and markups for Kaplan and Vanderbilt Securities. 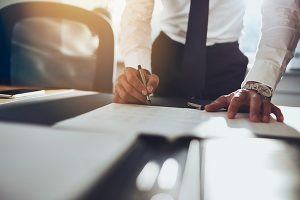 Kaplan’s activity was found to be in violation of Section 10(b) of the Exchange Act, prohibiting use of any manipulative scheme or contrivance in connection with the sale of a security. Kaplan was also found in violation of FINRA’s similar Rule 2020 and FINRA’s rules regarding suitability, fair dealing, and excessive trading. Kaplan’s FINRA BrokerCheck Report reveals that Kaplan incurred ten reportable disclosures beginning in January 2007, including three violations prior his association with Vanderbilt Securities. In fact, Kaplan was discharged by his previous employer due to a customer complaint and “other concerns regarding activity in client accounts” in March 2011, yet Vanderbilt Securities hired Kaplan anyway. Kaplan incurred six additional disclosures while with Vanderbilt, including his eventual expulsion from the securities industry. If you or someone you know lost money as a client of Mark Kaplan or Vanderbilt Securities due to unsuitable, misrepresented, or unauthorized transactions, please call the Frankowski Firm at 888.741.7503 or fill out this contact form.